Red Rover… Red Rover… a TRINKET powered rover #3d « Adafruit Industries – Makers, hackers, artists, designers and engineers! 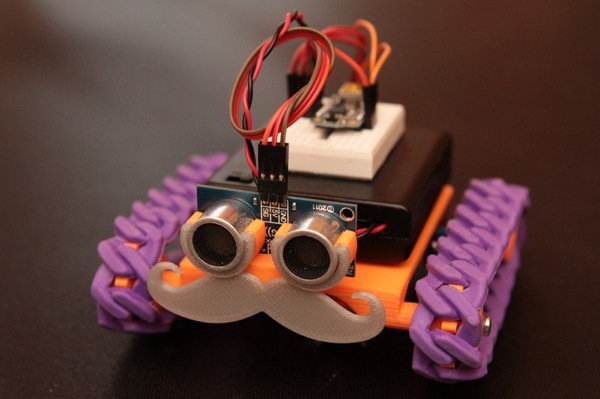 Red Rover… Red Rover… a TRINKET powered rover @ The Adafruit Learning System. Science, Technology, Engineering, (Art) and Math (STEM / STEAM) curriculum is gaining momentum in K-12 education. It’s exciting to see so many new makers and engineers learning how fun it is to make! I wanted to design a low cost robot that anyone could build if they have access to a 3D printer. So… here’s an idea that might help – an autonomous micro rover based on Trinket.